Directions to Stop #7: Walk across the railroad tracks to the west on Manchester Trafficway for about one tenth of a mile until you come to the historical marker. It will be on the left (south) hand side of the road. This tour stop is located in Kansas City, Missouri 64132. 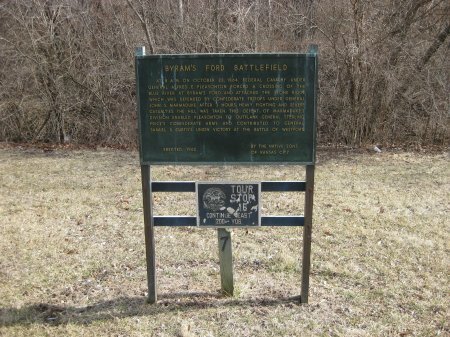 Description: The seventh stop on the tour places you at The Battle of Westport Historical Marker Number 16. This marker provides a brief synopsis of the events near here that took place on October 23rd.